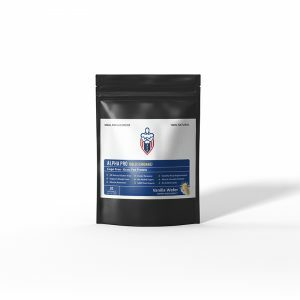 PIPE HITTER is a pre-workout supplement that has a unique formulation that truly sets it apart from other N.O. boosters out there. This supplement is a very well rounded and complete pre-workout, as it includes some of your classic NO2 booster ingredients and strength boosters (like creatine) and electrolytes. However, it includes a unique compound that actually increases the synthesis of L-arginine in the body. Most pre-workouts will just hit you with large amounts of L-arginine. This works to an extent, but when you need a lasting, all-day nitric oxide boost, choosing something with this unique compound (called N-carbamylglutamate, or NCL) is a must. Because PIPE HITTER supports steady nitric oxide release all day, your muscles aren’t just nourished during your workout – they receive oxygen and nutrients even while you sleep. This is important, as muscle nourishment helps to support healthy recovery, and therefore better and faster muscle growth. HOLY CRAP! This stuff is so insane!! SO much energy. It’s super concentrated so the tiniest amount will get you going for a great workout. I feel unstoppable when I take this preworkout. Definitely DO NOT take close to bed time, because you won’t sleep for hoursssssss. I’ve never had a pre-workout work this well. Our Assault Sample Pack now gives you the opportunity to try three of our popular products. Our Alpha Pro Protein, an organic grassfed whey with only 117 calories per serving and less than 2 sugars and carbs. Our Alpha Phen weightloss aid is just 1 capsule a day taken in the morning with food. And our Pipe Hitter pre workout. An intense pre workout designed to keep working after you’re done. Do Not Take after you have taken the Alpha Phen. Take either the Phen and Pipe Hitter on different days. Never take together. Gain & Cutting Stack is the ideal package for anyone who is looking to naturally lean out and define their muscle gains. 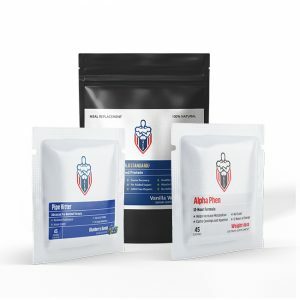 This stack will help to give you the support you need to get seriously shredded, helping to naturally burn fat and more importantly keeping your gains strong. 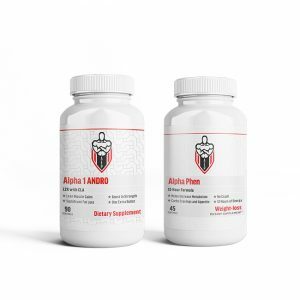 Alpha 1-Andro includes 3 basic ingredients proven to help the male body achieve higher levels of physical performance. 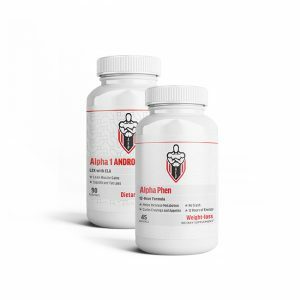 Alpha 1-Andro is an advanced product which is more potent than the competition. With Alpha 1-andro you will lean out while producing rock hard muscle and increased strength. Alpha Phen is a powerful appetite suppressant pill that can help you lose weight quickly without the jitters and crash associated with many other leading weight loss supplements.